Did you know there were s’mores recipes? Believe it or not, there are many ways to dress this summer snack up. Example: Here’s how to make s’mores indoors! I love s’mores; how about you? (I know I’m not alone here because there’s totally a “National S’mores Day.”) In my mind, nothing says “summer” quite like s’mores. This campfire fav has been a tradition for years and years, so it came as a bit of a surprise to me that there are s’mores recipes out there. In fact, there are lots of s’mores recipes out there. There are all kinds of ways to dress this summer snack up from how to make a low fat s’more to recipes for indoor s’mores. I’m sure you already know how to make s’mores the traditional way (with a campfire and flaming molten marshmallows), but you probably don’t have a recipe for indoor s’mores. I know I didn’t. So, let’s change that. 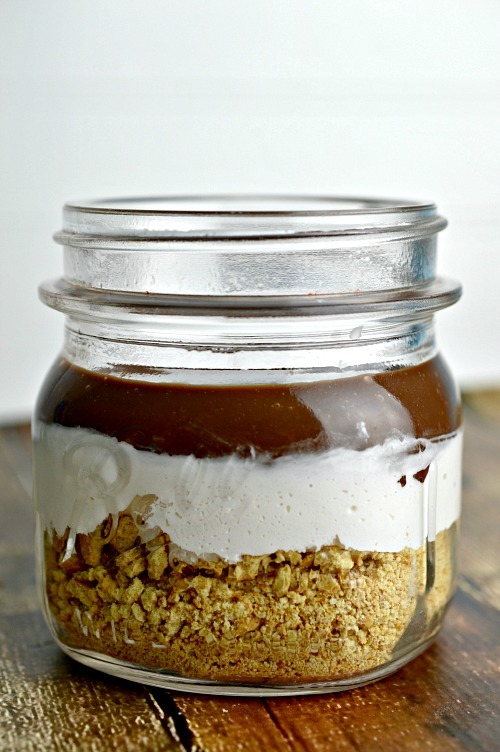 Oh, and if you couldn’t guess, this s’mores recipes is in a jar. A Mason jar. So…without further ado, on with the s’mores recipe for indoor s’mores! Enjoy! 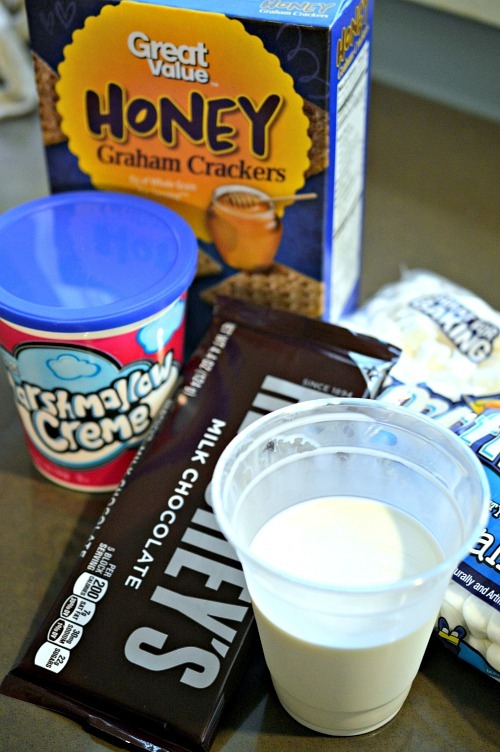 The ingredients listed below for this s’mores recipes will fill 2 jars. 1. 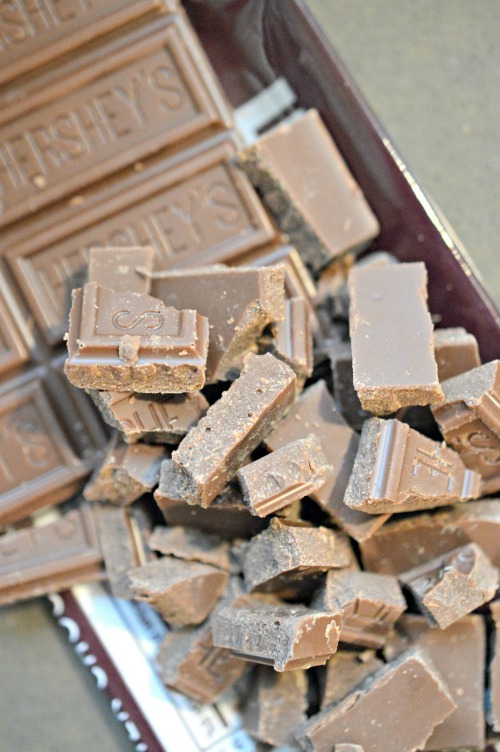 Break the chocolate bars into small pieces. 2. In a saucepan, warm the cream until it begins to bubble. 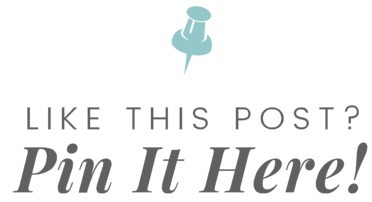 Tip: Watch the cream closely so that it doesn’t get scalded. 3. Remove the cream from heat and add in the chocolate bar pieces. 4. After a minute or so, the chocolate pieces should begin to melt. Whisk them into the cream until you have a smooth mixture. 5. 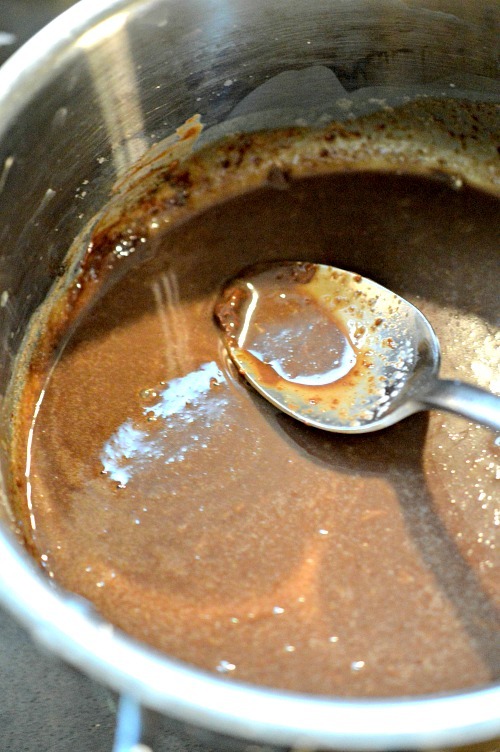 Set the chocolate cream mixture aside. 6. 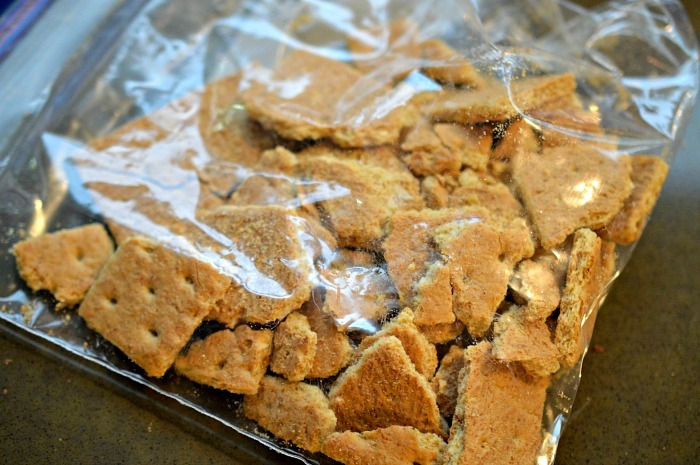 Place graham crackers in a ziplock bag and crush them. You can crush them with the heal of your had, by running a rolling pin over the bag, or with the flat bottom of a glass. Tip: If you have a food processor, you could put the graham crackers in it to pulverize them. 7. Dump the graham cracker crumbs into a small bowl. 8. Add the melted butter and mix. 9. 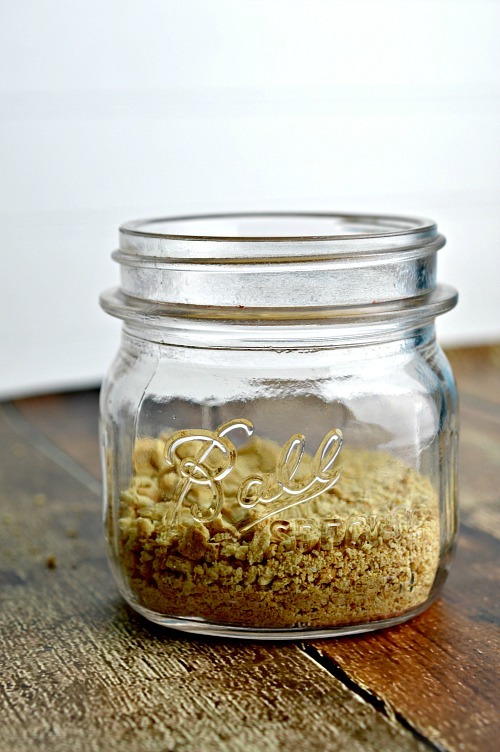 Add 1/2 of the graham cracker crumb mixture to the bottom of one of your Mason jars. 10. Spread 1/2 cup of the marshmallow fluff over the graham cracker mixture. Note: The marshmallow fluff in this s’mores recipes doesn’t spread easily. 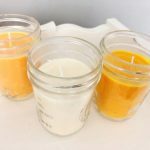 Try warming it up first or just place it in the jar and wipe off the rim of the jar with a damp cloth or paper towel for a cleaner layered look. 11. Pour 1/2 of the chocolate mixture over the marshmallow fluff. 12. Top with mini marshmallows. 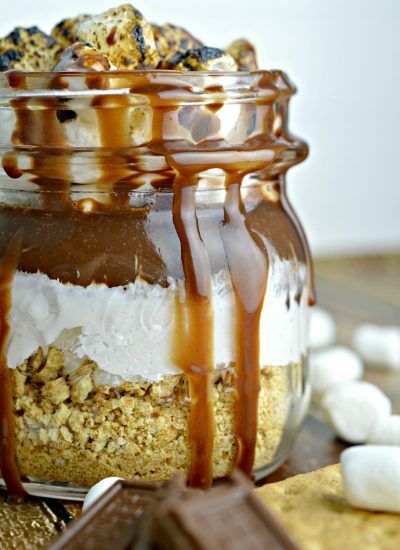 Tip: If you’re feeling brave with this how to make s’mores recipe, you can use a blow torch to toast the tops of the mini marshmallows once they are in the jar. 13. 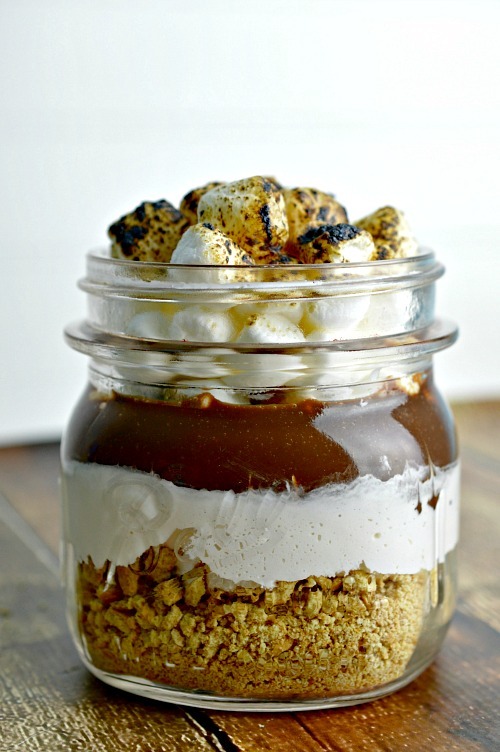 Repeat steps 9 through 12 of this s’mores recipes with the other Mason jar. 14. Enjoy your recipe for indoor s’mores! Okay, this s’mores recipe definitely isn’t a “how to make low fat s’mores” recipe. If you have tips for making this recipe for indoor s’mores nutritious (and still delicious), please share in the comments! 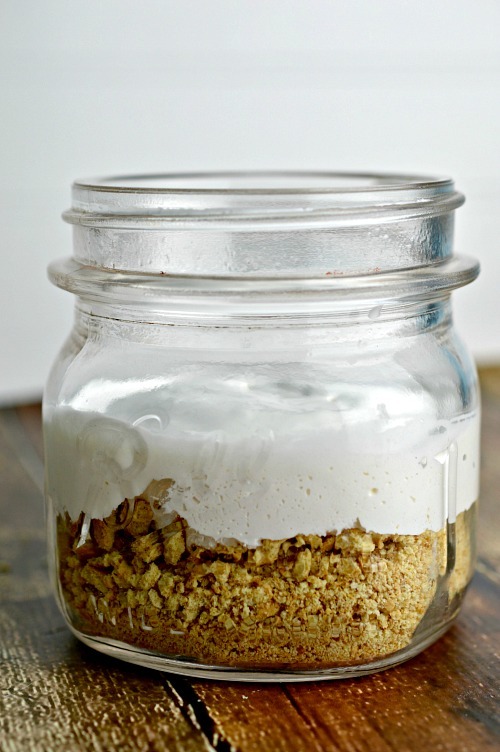 For more decadent desserts in a jar, follow Mason Jar Breakfast’s Desserts Pinterest board. Hi wonderful recipe. Can you tell me please what is the size of the mason jar? Great Idea! How far ahead can I make these? Do they need to be refrigerated if I ca make them the day before?